This extraordinary necklace features dramatic sprays of luminous ivory freshwater pearls and dazzling clear crystals elegantly strung on delicate silver wire. The earrings mimic the style of the necklace with the same gorgeous gemstones. 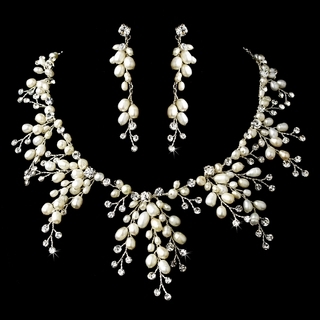 This set would look exceptional on any bride with an ivory wedding dress!